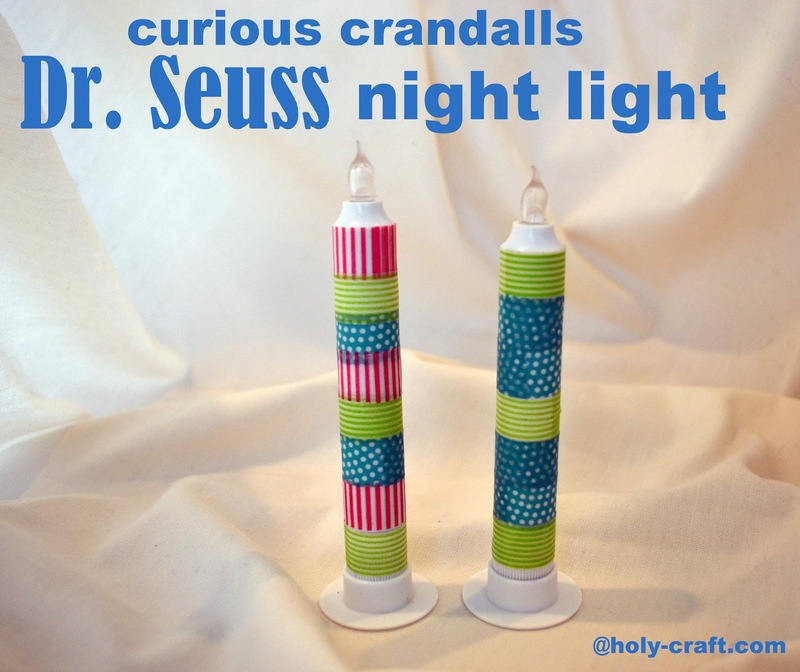 Our family are huge Dr. Seuss fans, so when I saw this 15 minute craft lightning challenge, I jumped right on board! 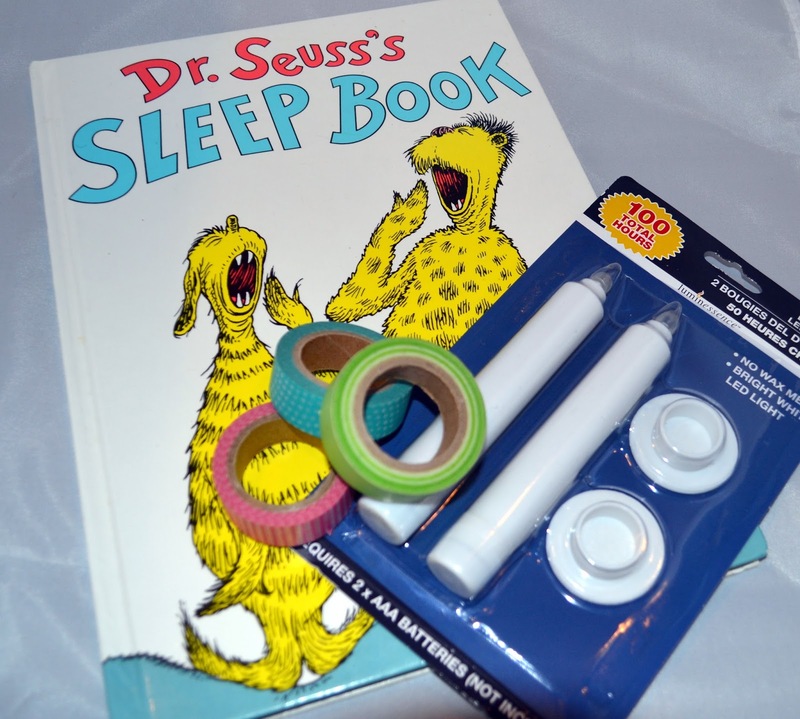 One of our favorite books by Dr. Seuss is the Sleep Book. I love the part about the Curious Crandalls. 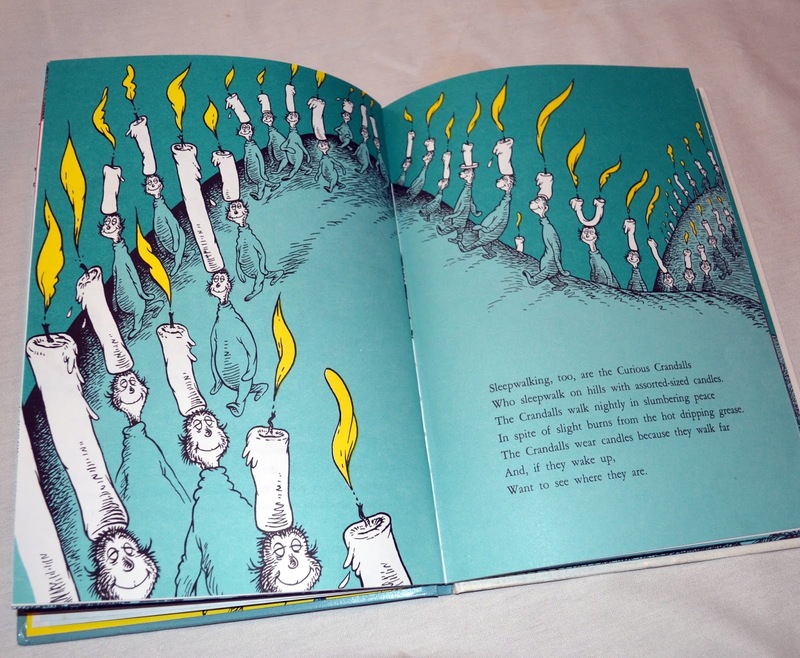 Those Curious Crandalls sleepwalk on hills with assorted sized candles. They stay asleep even with dripping wax falling on them! But not to worry, there is no dripping wax from these candles. They will make the perfect nightlight for your littles after you read the Sleep Book and they head off into dream land. I found my LED candle lights at the Dollar Tree, and I used washi tape that I already had in my drawer to decorate the candle sticks. 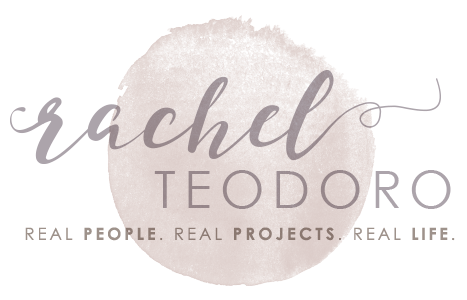 I can't even give you a tutorial, because this project is too easy! 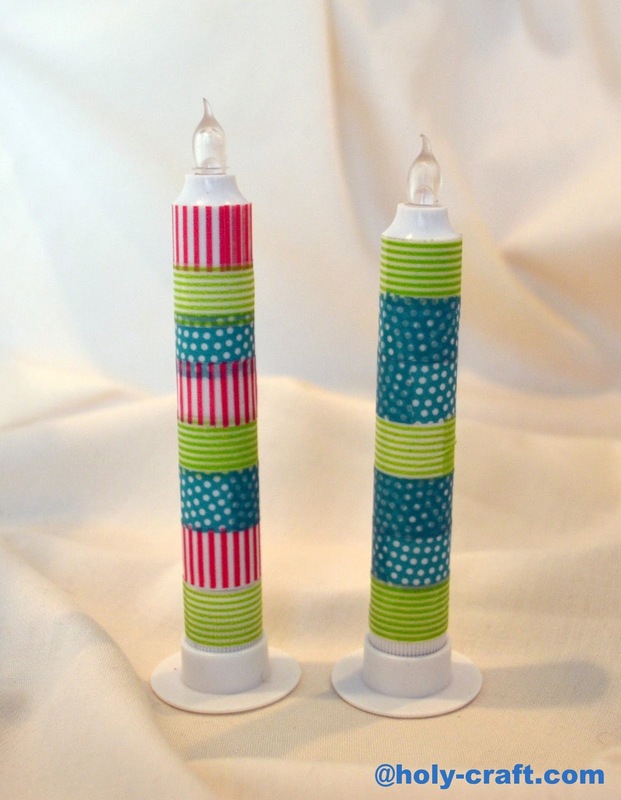 You literally just wrap tape around your plastic candlestick in whatever pattern you want. The more random the better! 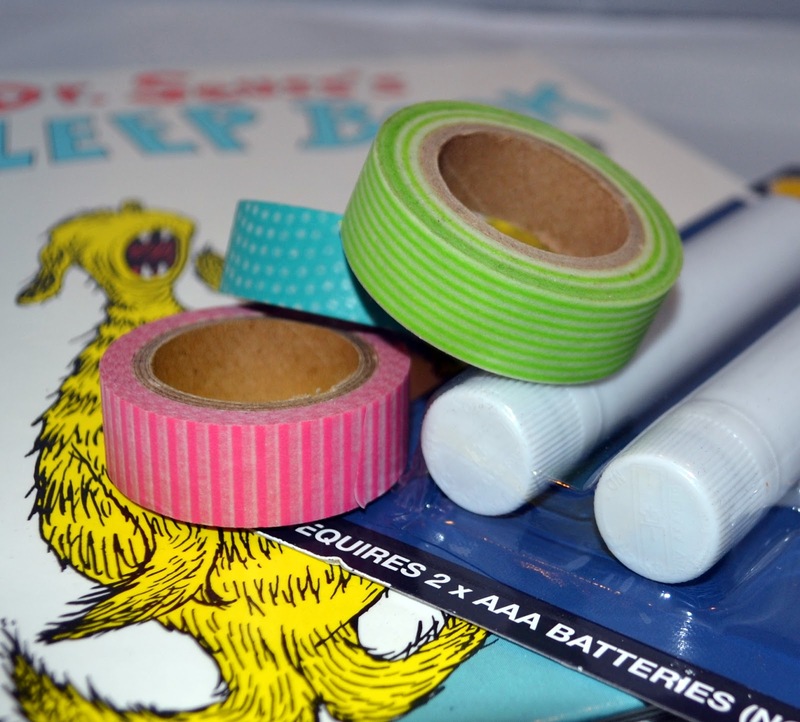 Once you are finished, you can snuggle up with the Sleep Book and your kids will be delighted to have their own personal candlestick to help them light up the night as they drift off to sleep. 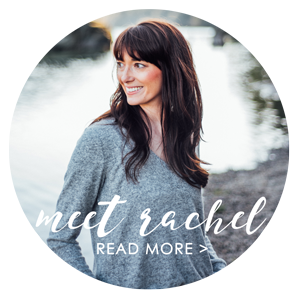 Such a cute and simple idea!